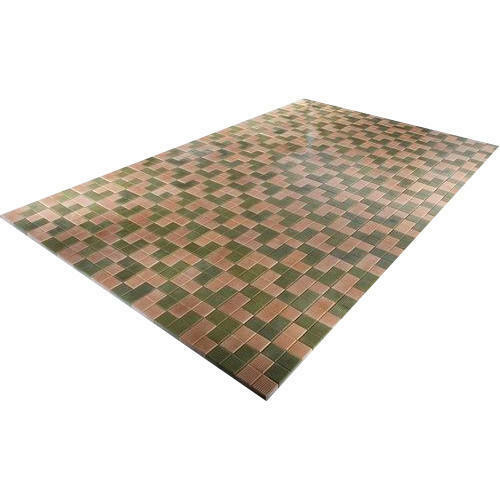 Incorporated in the year 2005 at Chennai, Tamil Nadu, we Spectra Pavers Private Limited are engaged in the manufacturer of Premium Rubber Moulded Paver Blocks & Designer Tiles which is widely used in driveways, patios, footpaths etc. SPECTRA PAVERS PRIVATE LIMITED® started its operations with an initial annual production capacity of 1.8 million square feet. Over the period of years the same was enhanced to 3 million square feet annually. Presently the company’s presence is strongly felt at Karnataka, Goa, Tamil Nadu,Kerala & Maharastra. Spectra Pavers is the first company to introduce designer pavers to the market breaking the convention of fixed geometric patterns. Spectra Pavers has also put a stop to traditional approach by introducing vibrant colours. The promoters 3 decades of experience in this industry have enabled such uniqueness.